Product information "Ireland: Bouldering Guidebook"
The Bouldering in Ireland guidebook details every major and minor bouldering area across the length and breadth of the island of Ireland including Glendalough and The Wicklow Mountains, The Reeks, The Burren, Connemara, North West Donegal, Inishowen Peninsula, Fair Head, The Mournes and many more. - Contains areas that have never been documented before. This second edition has been updated to include all new problems climbed and areas found since the first edition was published in 2011. 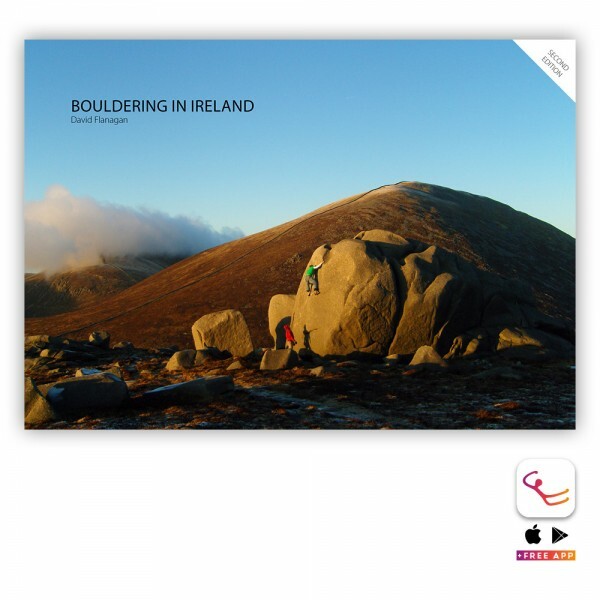 Related links to "Ireland: Bouldering Guidebook"
Customer evaluation for "Ireland: Bouldering Guidebook"